The next-generation 992 Porsche 911 is coming, and to keep people excited, Porsche is showing off pictures of some of the torture testing now underway before the car’s European launch early next year. Here’s a look at what Germany’s most legendary sports car has to go through before hitting dealerships. [The 911s] are shuttling between climate zones with temperature differences of up to 85 degrees Celsius; sprinting across elevation changes spanning more than four kilometres; enduring traffic jams in major cities and setting new records on the racetracks. After all of this, every component of the car must function just as reliably as it did at the outset. For hot testing, Porsche says it conducts its trials in Gulf States in the Middle East and in Death Valley in California. There, the 911's air conditioning, thermal management, and “combustion behavior” have to meet their functional objectives at temperatures up to 122 Fahrenheit. In addition, the company’s engineers monitor thermal expansion of interior bits, making sure that trim doesn’t make any noises due to temperature changes. In Death Valley, the 911s will sit nearly 300 feet below sea level—quite a ways from the over 14,000 feet of elevation in Mount Evans, Colorado, where Porsche puts their turbochargers and fuel systems to the test. For cold testing, Porsche says it does much of that in Finland at temperatures as low as -31 Fahrenheit. There, it examines how well the car can start in frigid conditions, and ensures that heating and air conditioning work properly. In addition, Porsche does handling, braking, and other traction-related testing in Finland, paying special attention to transient response times of control systems entrusted with helping the car handle snow and ice. Speaking of Finland, Porsche lauds the “winding and demanding” roads of the European arctic circle as excellent spots to test sports cars, but also talks about endurance runs in China. It is the roads, race tracks, unique “traffic structure,” and “enormously” varying fuel quality that makes China so valuable as a test location, Porsche says. Plus, the company talks about “customer-oriented everyday” city and cross-country testing in Germany—which, let’s be honest, is the most relevant testing considering who buys 911s. Hence “customer-oriented” bit. As for the fun stuff, Porsche does plenty of testing at the Nuerburgring (of course), specifically assessing the powertrain, drivetrain, brakes, and overall chassis behavior. In addition, the brand also does some testing on the Nardò Ring high-speed test track in Italy, focusing on top speed as well as on powertrain cooling and vehicle handling. “By the time, testing is complete,” Porsche says in its press release, “the cars have been driven around three million kilometres in total.” That’s about 1.9 million miles. 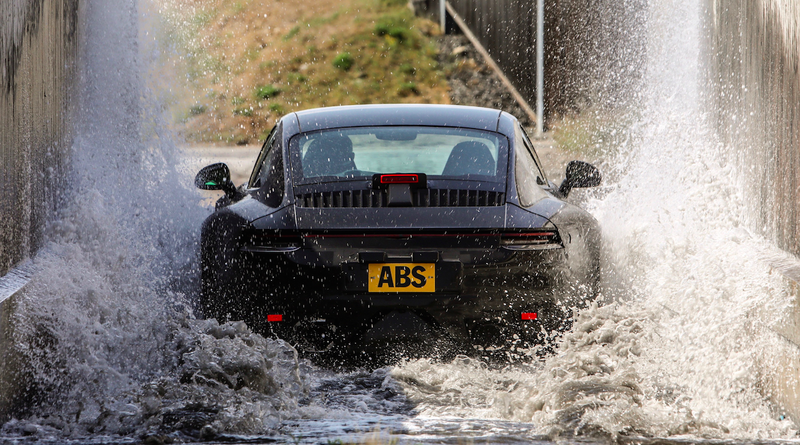 So yeah, this press release on vehicle testing wasn’t exactly an in-depth explainer, but at the very least, we got some pretty pictures of Porsche 911 prototypes going through validation testing. And who wouldn’t want to see those?